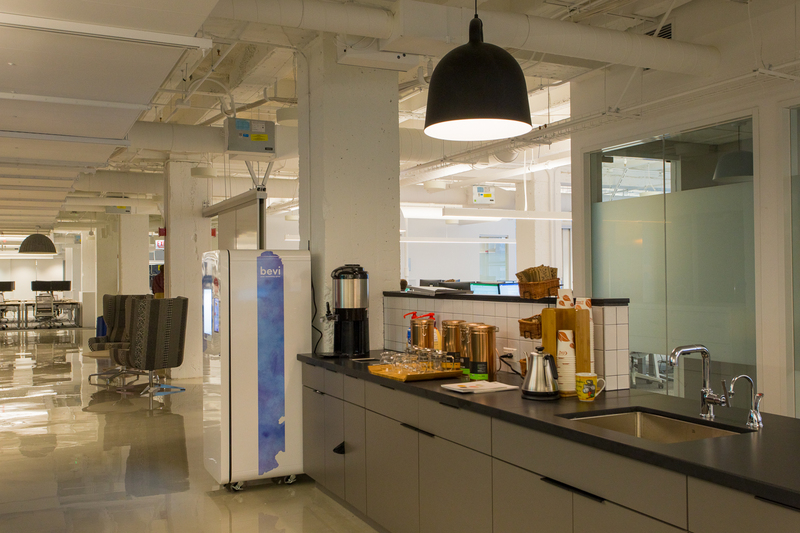 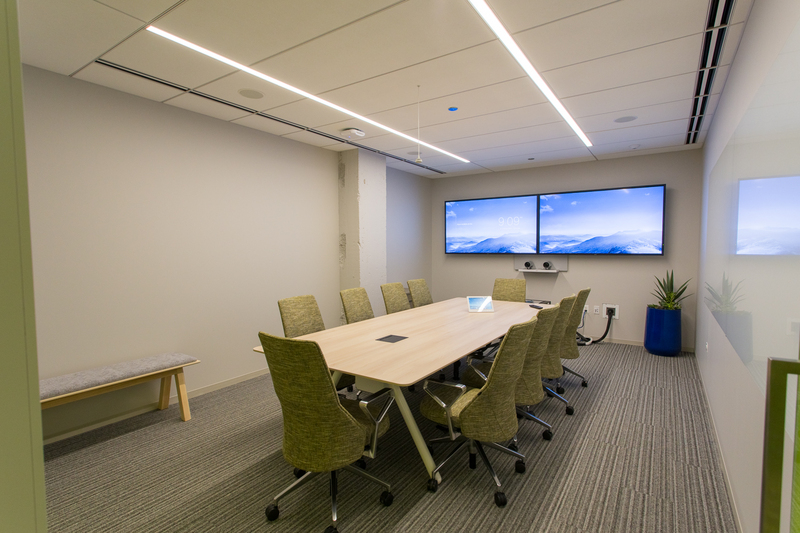 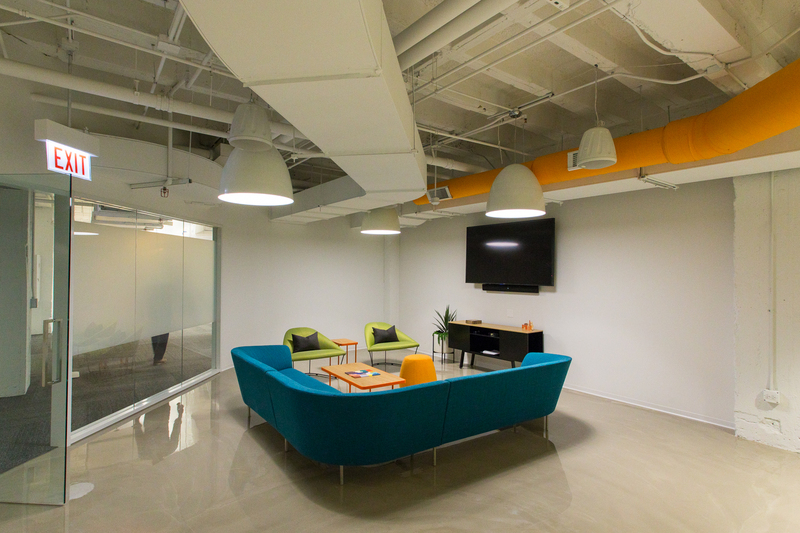 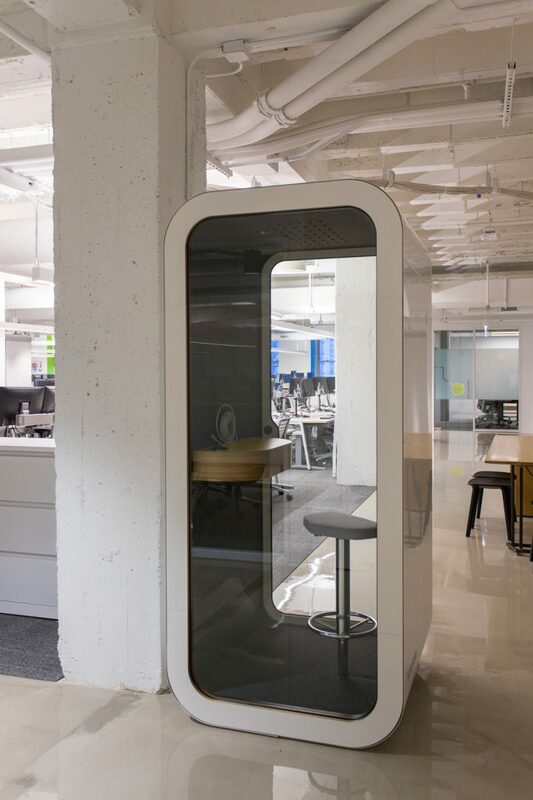 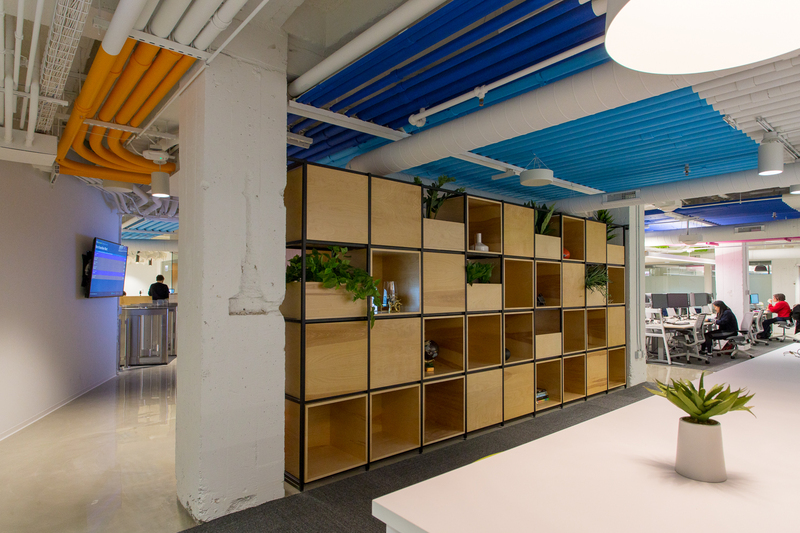 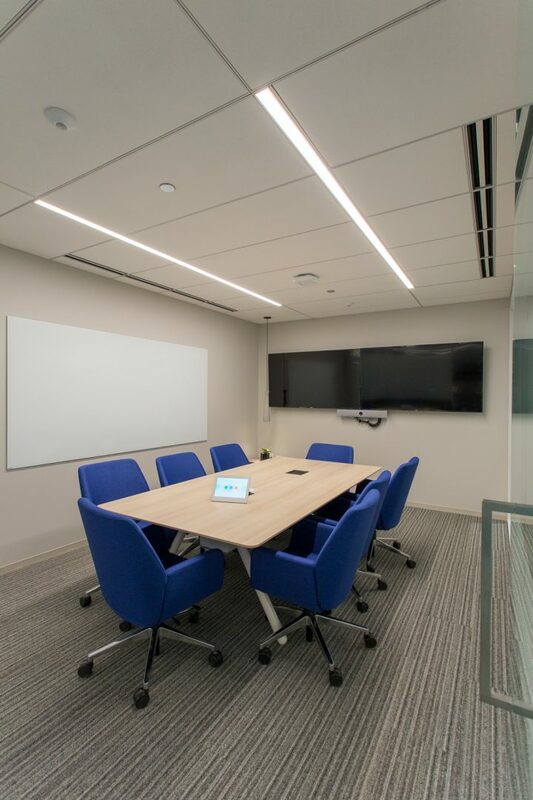 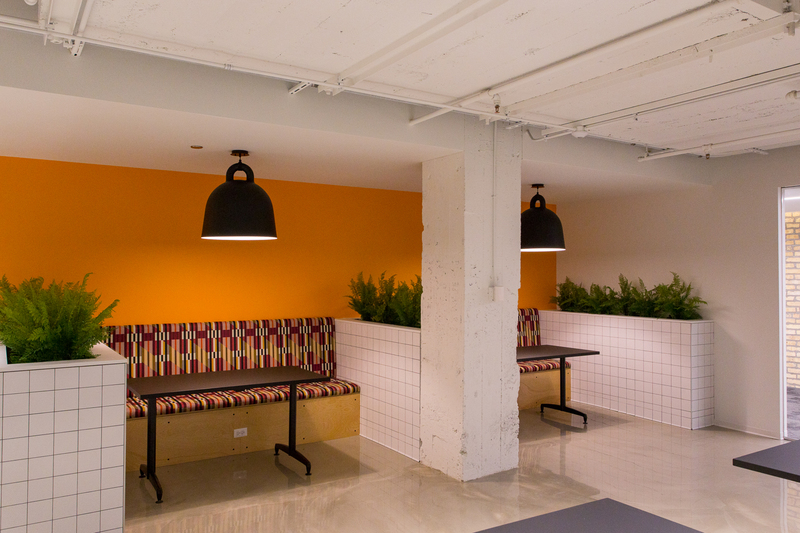 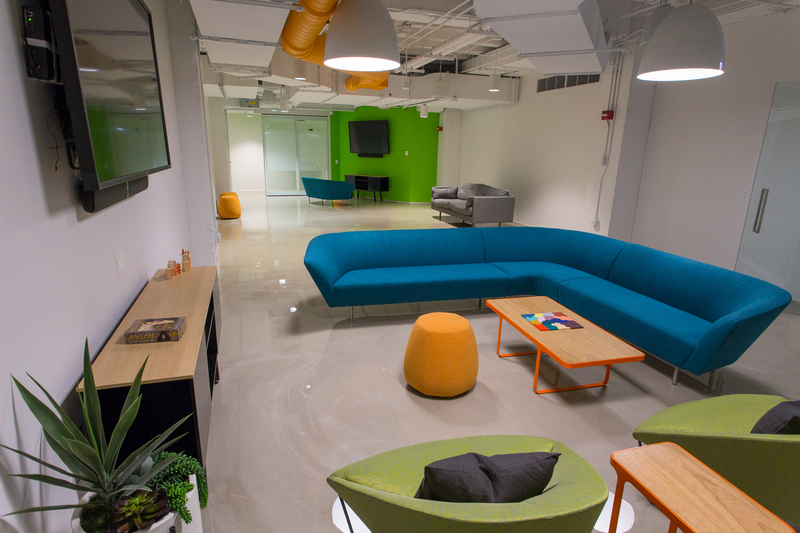 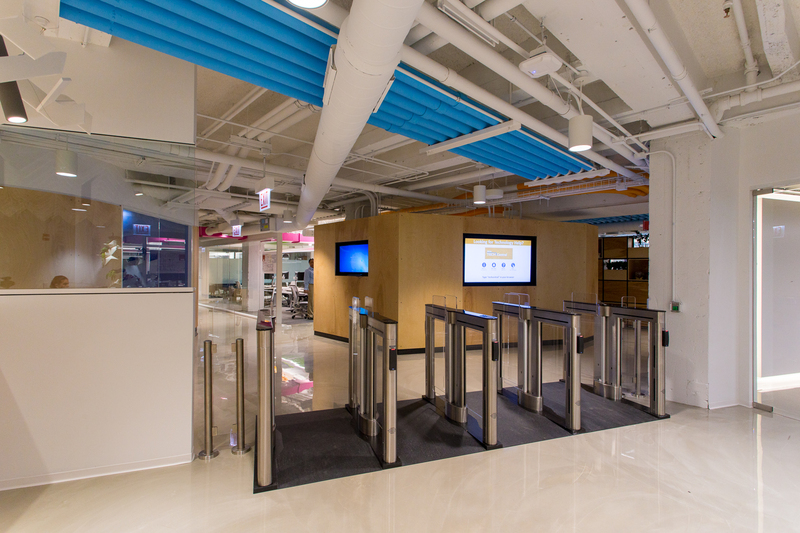 Allstate’s technology group was expanding their existing space and mandated a workplace that connected additional formal and informal gathering spaces; Hubs that encouraged staff collaboration, interaction and learning. 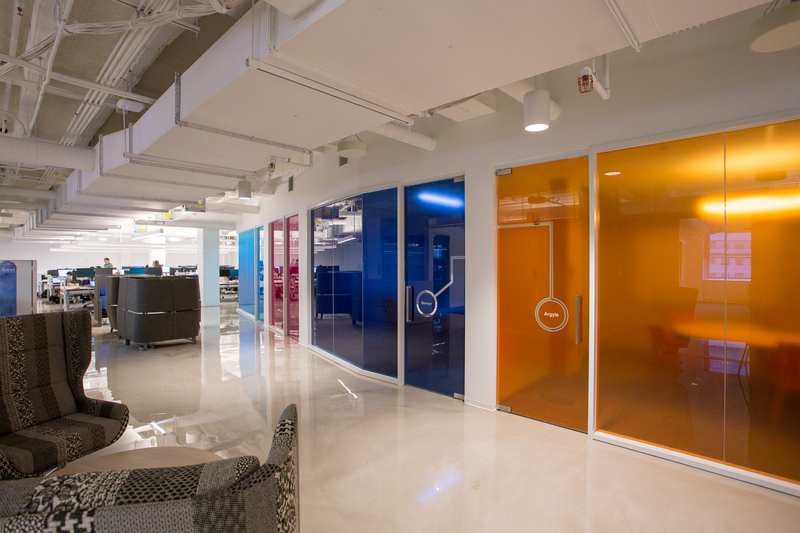 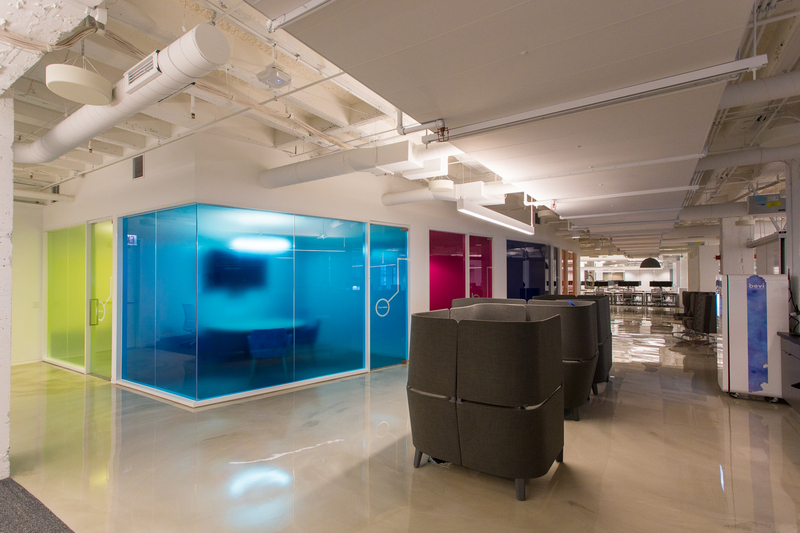 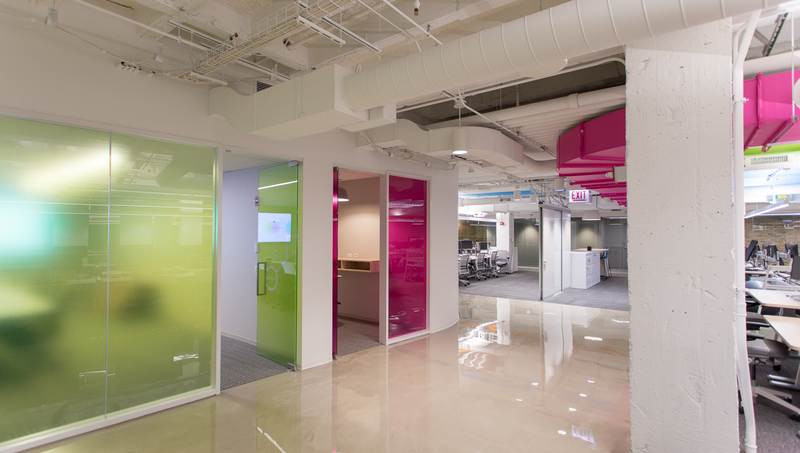 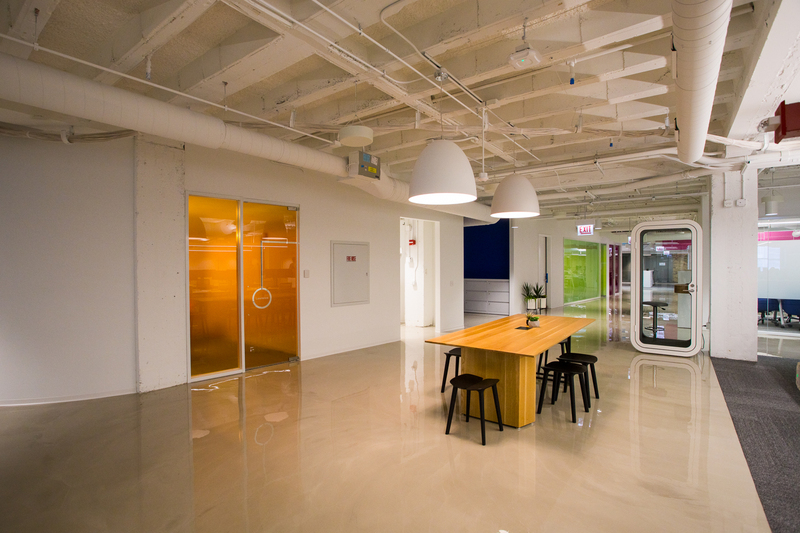 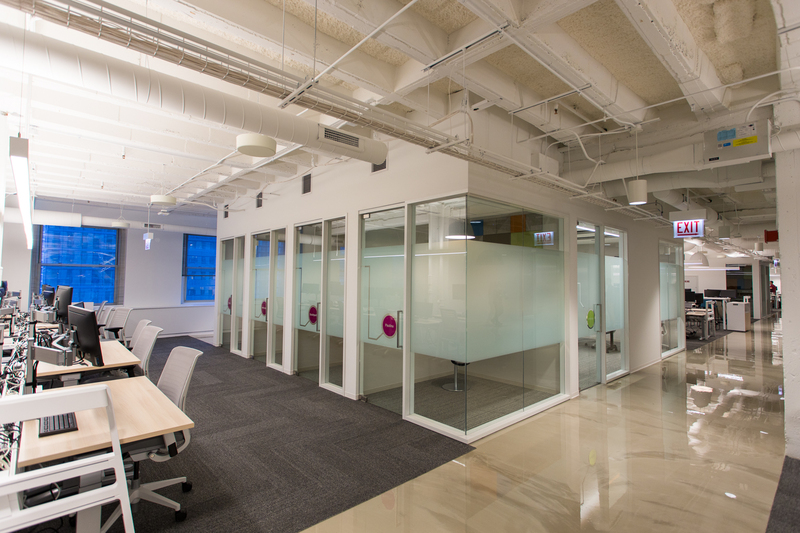 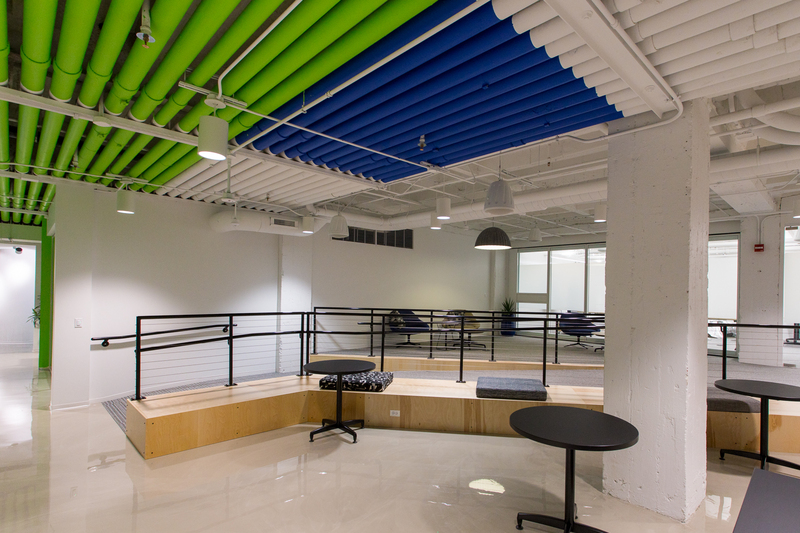 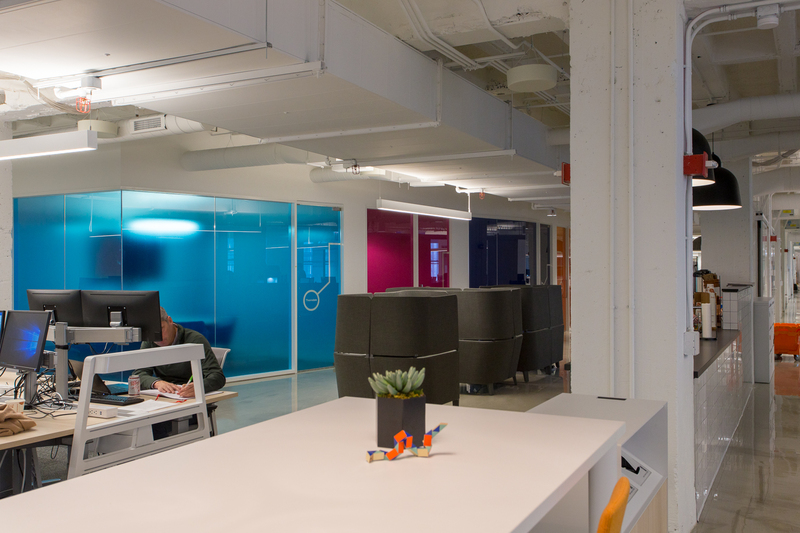 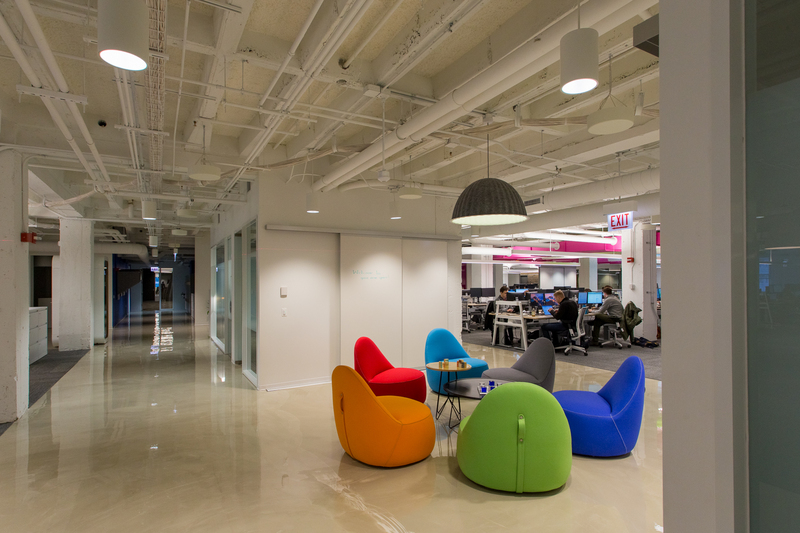 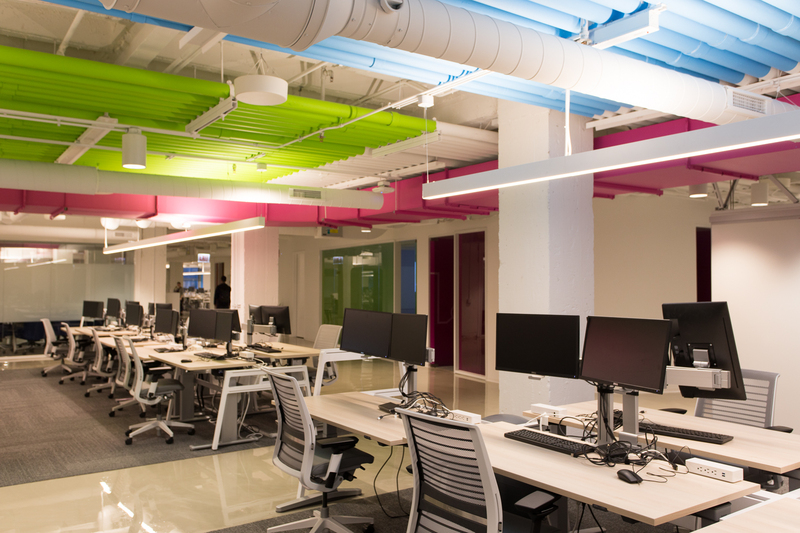 The space is branded with Allstate’s new colors, through the custom glass decals, wallcovering and the use of bright colors through the exposed ducts. 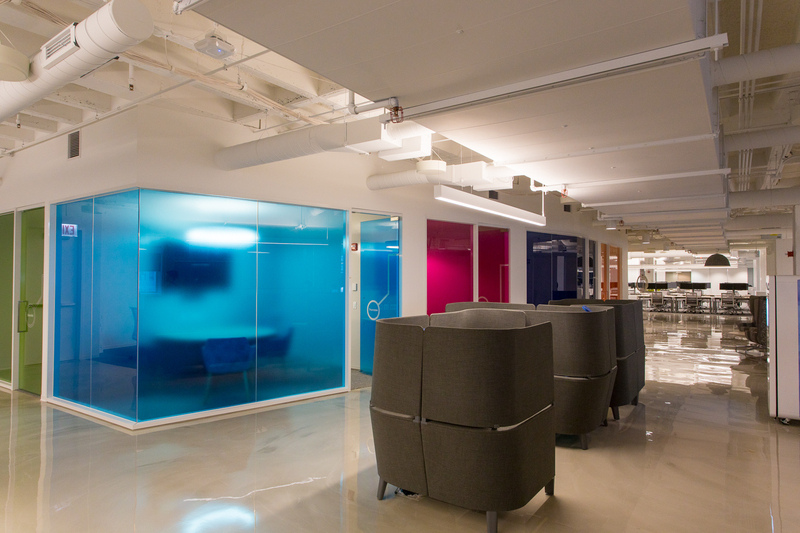 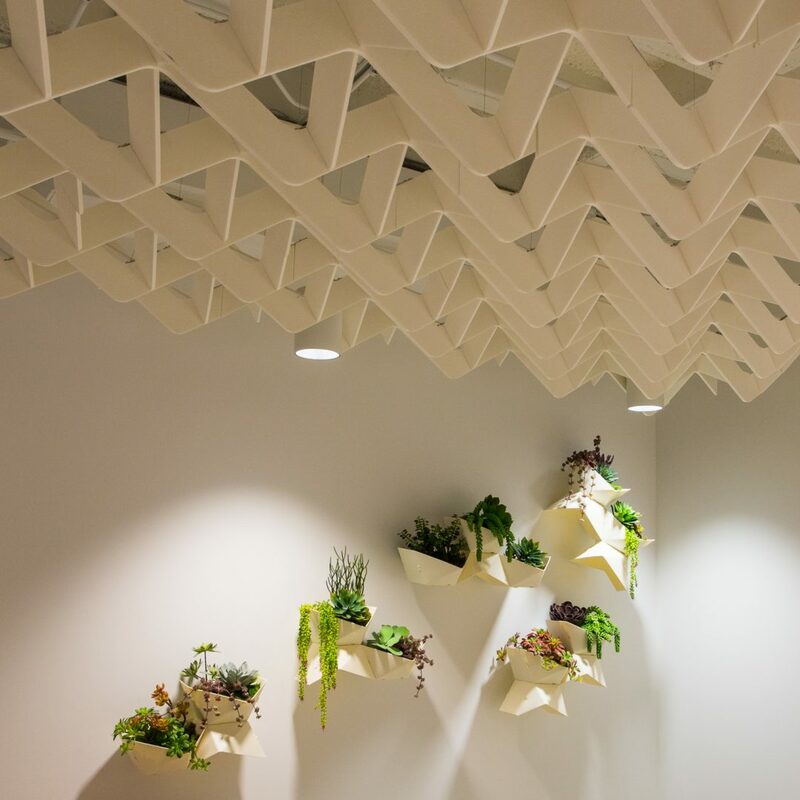 SAS incorporated a custom wallcovering and films with a circuit pattern to represent the data processing through the space. 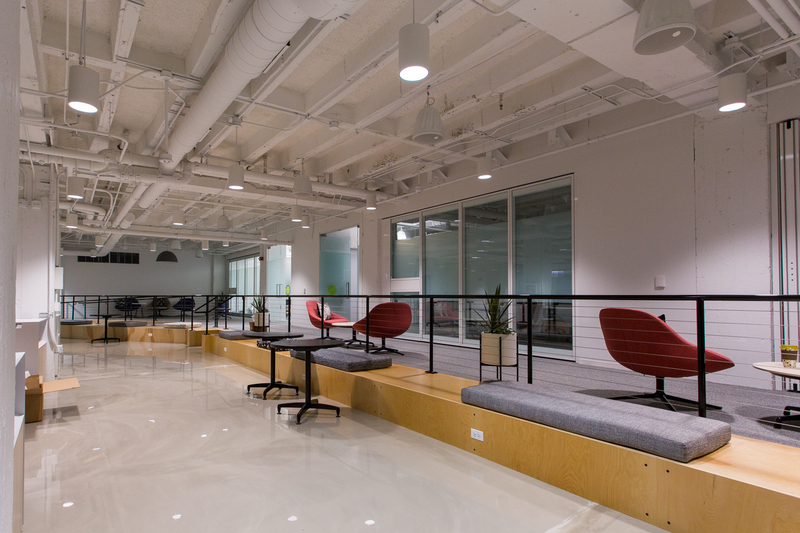 Their amenities include a genius bar, a full stacked meal hub that converts into a large Town Hall, Focus areas and a Game Room.